If you’re in search of the best carpet, hardwood, laminate, tile, or vinyl flooring, the team at ProSource® of Mokena can help. We offer a large collection of wholesale flooring to trade pros for their customers’ home remodeling projects. When choosing the best flooring for your project, consider why the current flooring is being replaced, or why new flooring is being added. The function of your flooring will help determine which type, style, and colors to choose. Visit our Mokena showroom and gets started on your project today! Our carpet solutions are vast. We offer comfortable and functional carpet flooring for any home remodel need. 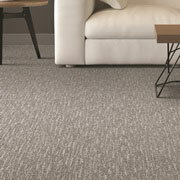 Your will find a variety of colors, styles, designs, and types of carpet to fulfill your customer’s project. Our most popular brands include Mohawk, Dixie, Shaw, Fabrica, and more. 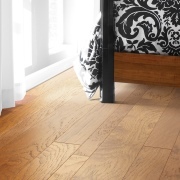 If you’re looking for a different or unique style, consider hardwood flooring. We offer a generous selection of colors, styles, and types to our trade pros and their customers. Whether you’re replacing flooring or adding a completely new floor to your home, we can help. 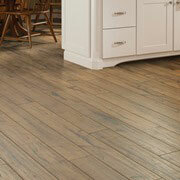 Want a cost-effective wholesale flooring option for home remodel project? 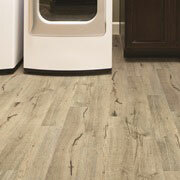 Laminate flooring offers a budget friendly choice to trade pros and owners. In our showroom, we offer laminate products from top manufacturers like Mannington, Mohawk, Shaw, Armstrong, and more. 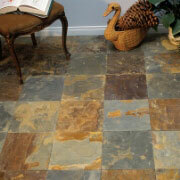 Tile flooring is more than another feature of a room; it tends to be a major focus. The elegant and beautiful styles and colors offered in our Mokena showroom will surprise you. Tile is versatile as a material, and it looks fantastic as flooring. We offer luxury vinyl tile (LVT), luxury vinyl plank (LVP), engineered stone, sheet vinyl, and more, if you’re searching for a vinyl flooring solution. The stunning look and elegant style works for both commercial and residential applications. We proudly serve Mokena, Tinley Park, Frankfort, New Lenox, Orland Park, and Homer Glen, Illinois. The ProSource of Mokena showroom is conveniently located in Mokena, Illinois and serves all of the neighboring cities including Alsip, Beecher, Blue Island, Bourbonnais, Braceville, Bradley, Braidwood, Bridgeview, Burbank, Calumet City, Channahon, Chicago, Chicago Heights, Chicago Ridge, Coal City, Country Club Hills, Crest Hill, Crete, Dolton, East Chicago, Elwood, Evergreen Park, Flossmoor, Frankfort, Gardner, Glenwood, Grant Park, Hammond, Harvey, Hazel Crest, Hickory Hills, Highland, Homer Glen, Hometown, Homewood, Joliet, Justice, Kankakee, Lansing, Lockport, Manhattan, Manteno, Markham, Matteson, Midlothian, Minooka, Mokena, Momence, Monee, Munster, New Lenox, Oak Forest, Oak Lawn, Olympia Fields, Orland Park, Palos Heights, Palos Hills, Palos Park, Park Forest, Peotone, Posen, Richton Park, Riverdale, Robbins, Shorewood, South Holland, Steger, Thornton, Tinley Park, Whiting, Willow Springs, Wilmington and Worth.